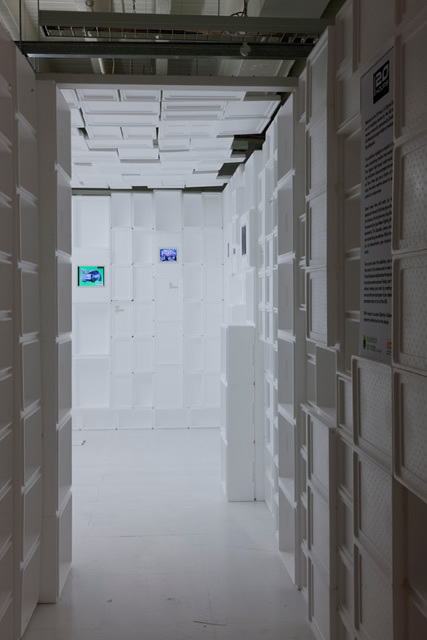 1100 Expanded Polystyrene boxes were stacked to form a new enclosure within the Internet Advertising Bureau's existing seminar spaces. 20 bespoke screen frames held a rolling selection of moving images while bespoke furniture provided seating. Completed with Nick Wood & Aberrant Architecture.